This home owner’s outdoor deck is 3-4 years old. 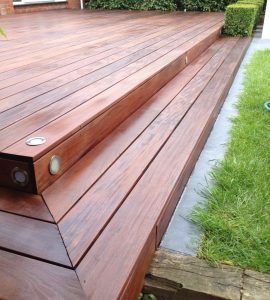 They had oiled it twice with a well-known high street brand of decking oil and had not cleaned the wood prior to these applications. They were never happy with the finished result and thought that their deck was ruined. 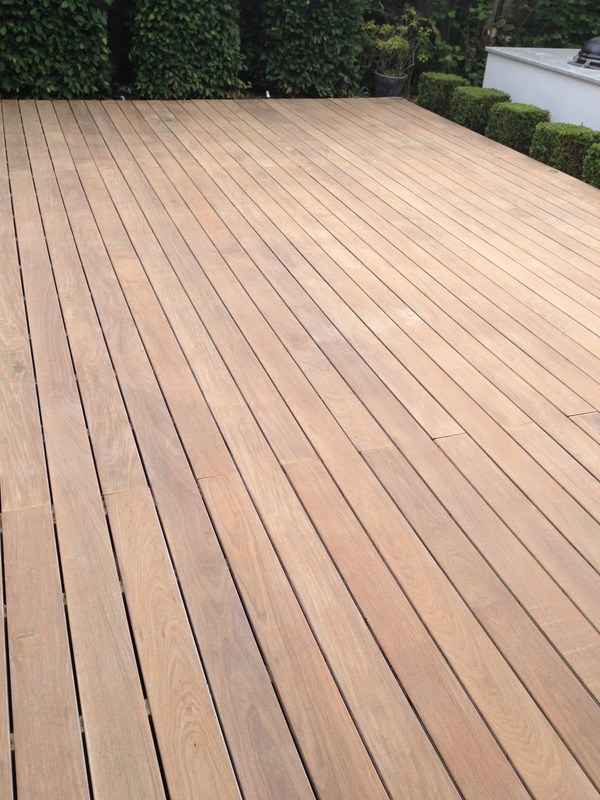 Luckily, even a deck in poor condition can usually be rescued with the correct treatment and protection. 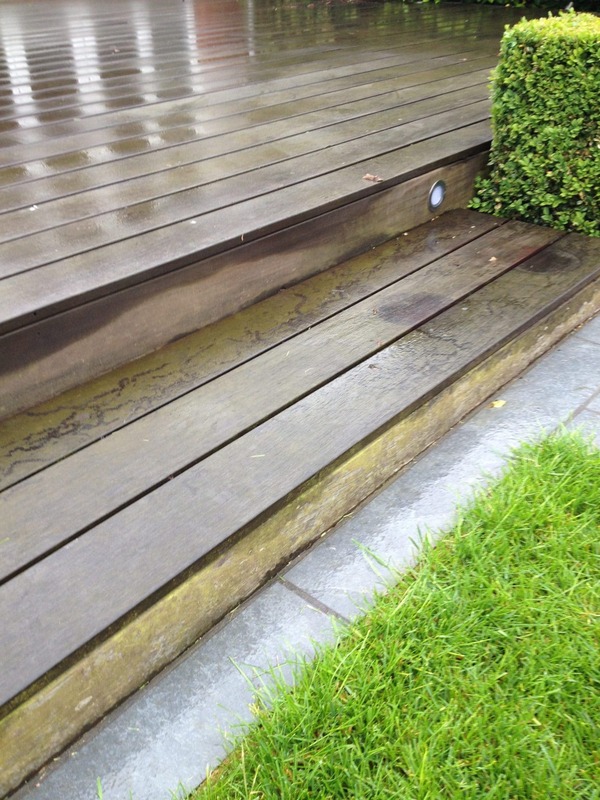 Roger from R & A Pressure Washing Services Ltd. was brought in to attempt a rescue and using Owatrol solutions he has created a truly professional finish. It’s not necessarily as difficult as it might seem, and we’ll take you through what he did step-by-step. 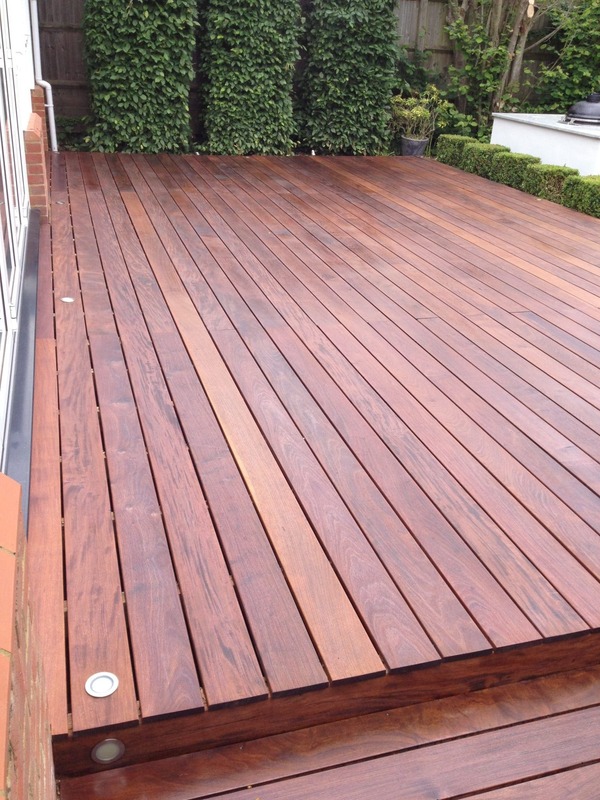 In this project Roger has used Prepdeck for stripping, Net-Trol for neutralising and D1 Pro saturating hardwood oil for long term protection of the Ipe decking. First Roger used Prepdeck to remove the previous finish from the deck. To do this he applied the Prepdeck to the area to be stripped or cleaned and allowed it to work. After an appropriate time he tested a small area with a scrubbing brush to see if the finish was lifting. When it was, he used a pressure washer to remove the stripper and rinsed the area with lots of water. 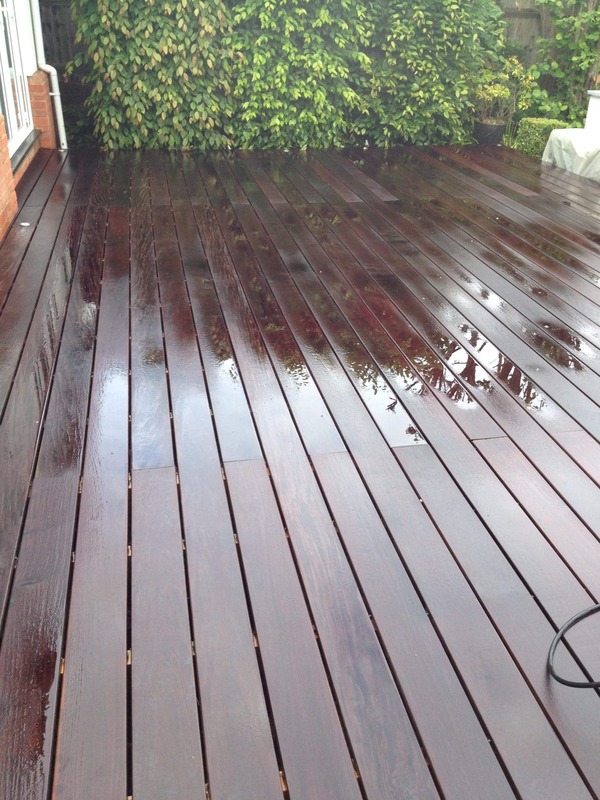 You can do this with a scrubbing brush and a hosepipe if you don’t have a pressure washer. 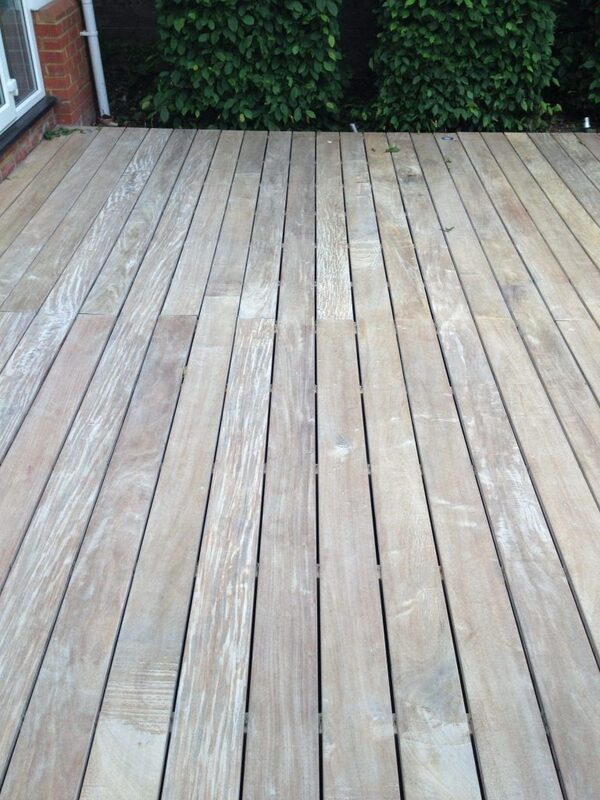 After stripping it is necessary to neutralize the surface of the Ipe decking using Net-Trol wood cleaner. To do this simply scrub it onto the surface with a brush, leave for 15-30 minutes and then rinse whilst scrubbing again or use a pressure washer. Please don’t panic, this step is non-essential. 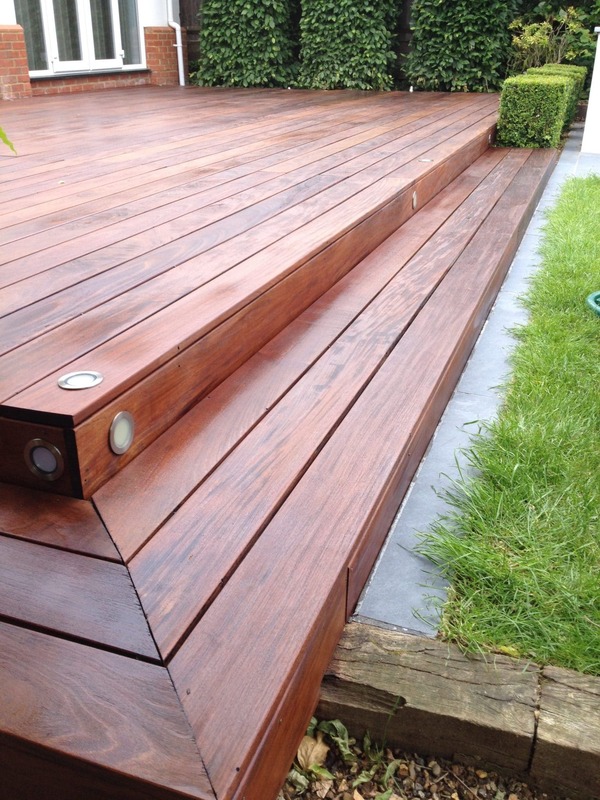 Most professionals will sand the surface of a deck before finishing but as a home DIYer this can be daunting and time consuming without professional kit. It really is not an essential step and you can still get a great finish without sanding. However, Roger sanded his and here’s how it looked. D1 Pro is applied using ‘wet-on-wet’ coats which means that new coats are applied as soon as the previous one has been absorbed. As a saturating hardwood oil, its place is inside the wood, protecting the wood from within against UV and moisture damage and giving a rich matte finish. Roger applied 3 coats for his project, but the number of required coats will depend on your wood. You need to continue until no more oil can be absorbed so the actual number of coats will depend on the type of wood, porosity, age etc. To apply the D1 Pro you need to work in areas which can be completed in 15-30 minutes. Always work along the grain and stop at a logical break, like the end of a decking board. Apply a first liberal application of D1 Pro and allow it to penetrate (normally 15-30 minutes). Then apply a 2nd application as soon as the first has penetrated and allow that to penetrate. Continue this ‘wet-on-wet’ application of until the wood is saturated i.e. will accept no more oil. Leave the final application for 20-30 minutes then brush out or wipe up excess product to avoid shiny spots.